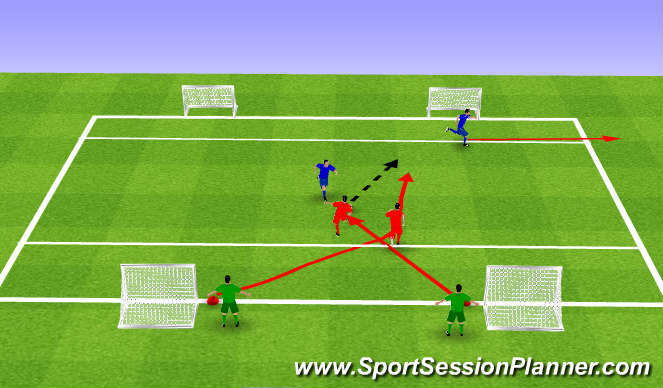 Two players attack the far goals (red), When their ball goes out of bounds the next two will attack (green) . The Person who shoots or loses the ball leaves the field (B2) so there is only one player defending (B1). One point for a goal. Five points for and attempted overlap. Ten points for an overlap and goal.